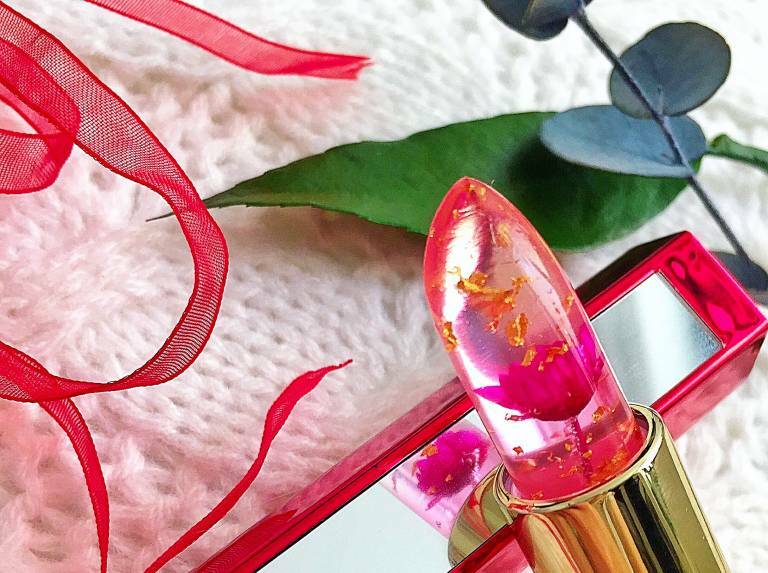 It’s the Kailijumei’s “Flower Jelly Lipstick” which is so popular right now. But what’s the lipstick about? . Made of natural ingredients like candelilla resin, cocoa butter, beeswax and lavender oil (which explains the lavender scent), it is moisturizing and are free from animal testing. Each lipstick is specked with gold flakes with a real pressed flower inside the bullet, encased in a sleek glossy red case with mirror. . It gives a glossy pinkish tint on lips, which differs according to your body temperature; the warmer you are, the darker the shade. .
Comes in 4 shades; Flame Red (seen here), Barbie Doll Powder, Dream Purple and Minute Maid, it is now available @zalorasg, the authentic and original distributor of Kailijumei.